I love bargains, but I don’t like standing in long lines or fighting crowds to get them. That’s why I avoid shopping in-store on Black Friday like the plague. For the past 20 years, I’ve done nearly all my Christmas shopping online. I save a bundle by shopping on Cyber Monday, and I save even more by earning cashback through Ebates on almost every purchase. I’ll admit, the very first time I looked at the Ebates website, I felt confused and overwhelmed and left in a hurry. It seemed like too much of a hassle. But then I kept hearing from others who were making it work and saving a bundle, so I eventually dug in and figured it out. And do you know what? It was SO MUCH SIMPLER than I’d imagined. And now that I’ve installed their cashback button on my browser, it’s even easier to rake in the savings! And I’m so sure you can save money just as effortlessly that I made a step-by-step video tutorial to help you get that little button in your browser so you can get started this holiday season. Do yourself a favor and spend two minutes following these easy directions. That way, when Cyber Monday hits, you’ll be ready! For those of you who (like me) prefer reading instructions to watching videos, I’ve reprinted the entire transcript of this one below. Happy cyber savings! 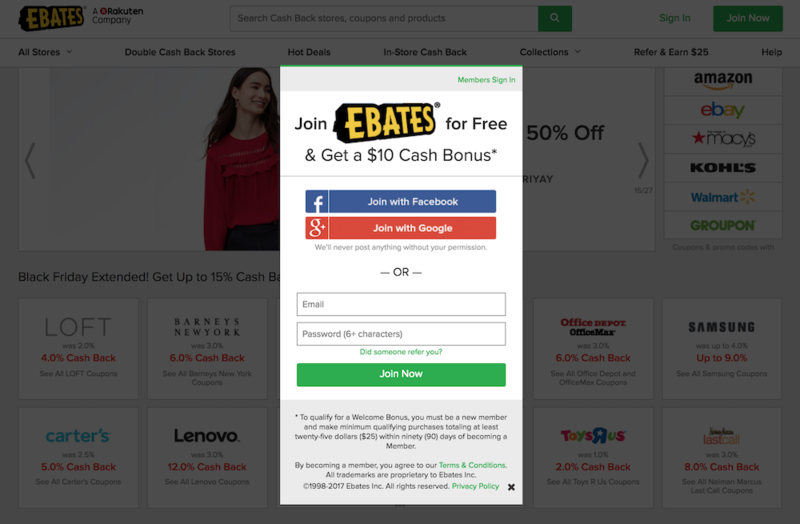 Joining Ebates is 100% free, and with Ebates’ simple-to-install cashback button, saving money couldn’t be easier. 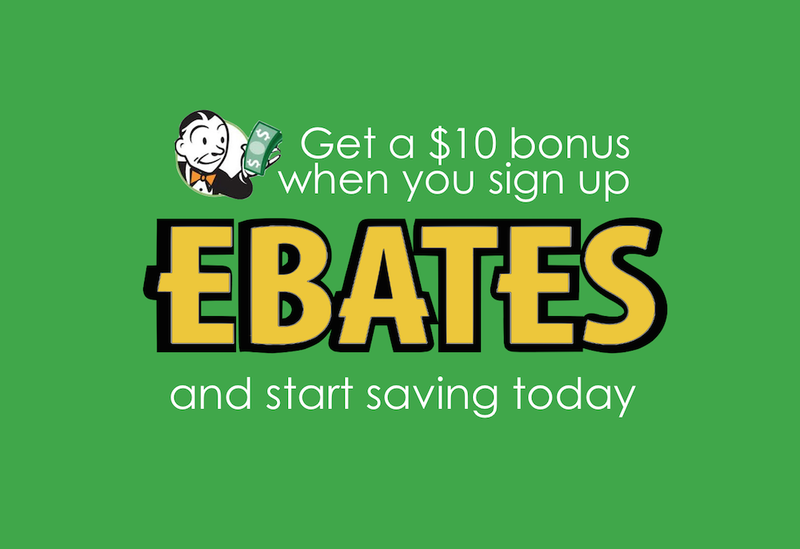 If you are not already an Ebates member, you will earn $10 by using this affiliate link to sign up. 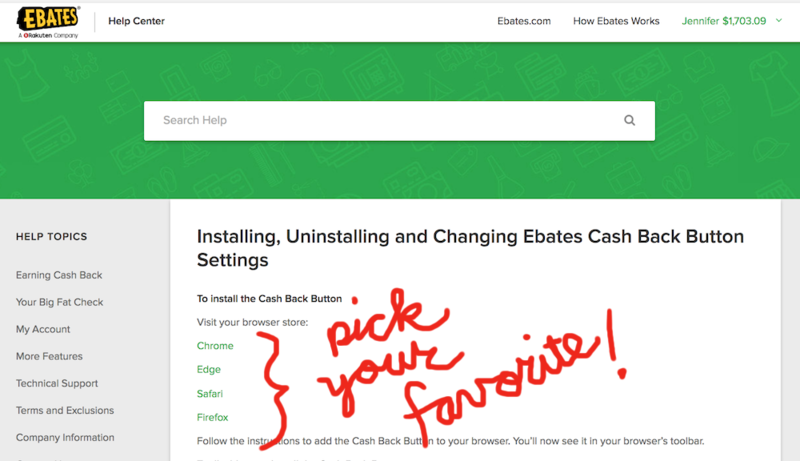 Whether you’re new to Ebates or a long-term member, you can simplify your cashback savings by installing an Ebates cashback button on your Internet browser. Doing this is easy. Just follow this link to the Ebates website. 1. 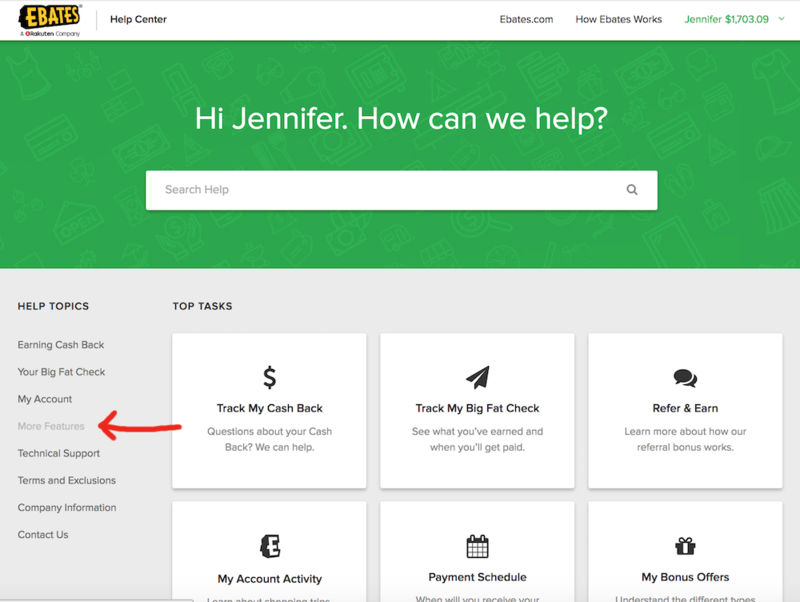 If you’re new to Ebates, click the “Join Now” button in the top righthand corner of your screen. If you’re already an Ebates member, sign into your account. 2. Once you’re registered and logged in, navigate to the Help tab on the right end of the menu bar and click on it. 3. Then, on the left side of your screen, scroll down to “more features” and click to pull up another list of options. 6. Pick your favorite Internet browser from the list on the next screen, then follow the simple instructions to complete installation. 7. 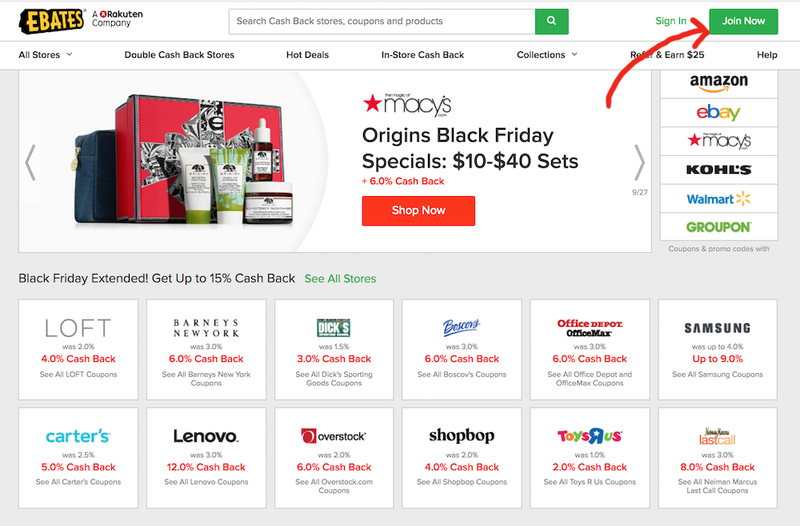 Once the app is successfully installed, you’ll see a little square Ebates button to the right of your search bar at the top of your browser. With this in place, you’ll never miss a cashback deal, even when you forget to shop through the Ebates portal. 8. 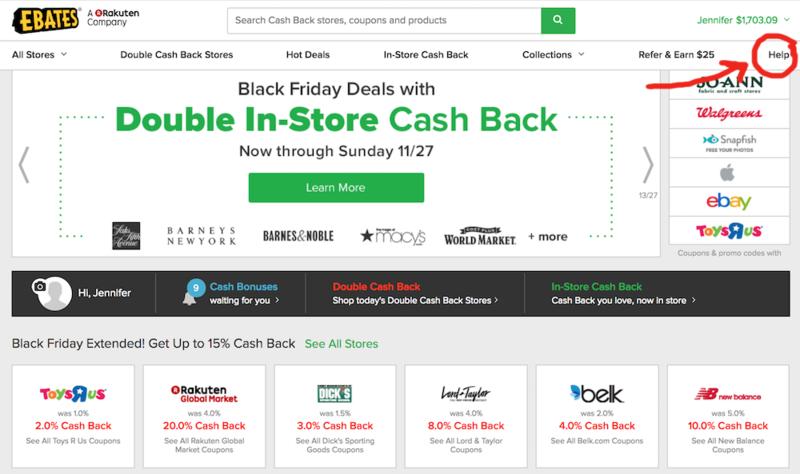 If you visit a site that offers cash back, the cashback button will turn red. Click on it to activate the Ebates savings. The percentage savings varies from site to site, but in the past, I’ve gotten as much as 36% of my purchase price back by using this program and shopping on double cashback days. If you have more than one computer, I’d encourage you to install the Ebates button on all of them. That way, you’ll earn cash back when your spouse or teens are shopping, too. 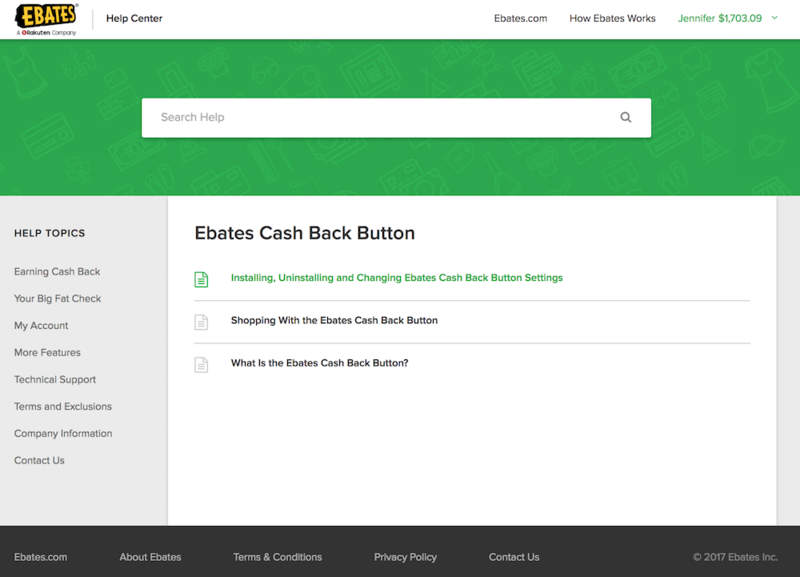 Ebates makes Cyber Monday deals even better, but – what’s more – by installing this cashback button, you can extend your savings all year long!